That’s not unusual this time of the year, nor is it guaranteed that this will be the snow that stays. But it is likely. And I’m a long ways from home, at the opposite end of the world’s fifth largest island, some 1200 kilometres away. I’m missing my family and that probably doesn’t leave me in the best frame of mind to write. Especially because my summer birds are gone. My friends with boats tell me of some great birds that are still around, of Ivory Gulls and Black-legged Kittewakes, of Arctic Terns and Dovkies. All great birds, and the Dovkies are not normally found in my corner of the Arctic, although they’ve been seen regularly this Fall. But I haven’t been on a boat yet this year, and it is looking increasingly like I’ll not get one one. My chances of seeing these fall birds (and Red-necked Phalaropes churning circles in the ocean) are growing slim. There are still decent numbers of Thayer’s and Glaucous Gulls, but every day there are a few less. The resident Peregrine Falcons have been fattening up on them, piles of feathers mark their collective demise on my favourite birding spot. It is not a good time to be a first year gull hanging about the outflow of the water lake. But soon they’ll all depart, perhaps the Peregrines already have, racing Winter’s advance, waiting her out in South America before that biological imperative pushes them back home to the cliffs of Arctic Bay. No shorebirds remain. 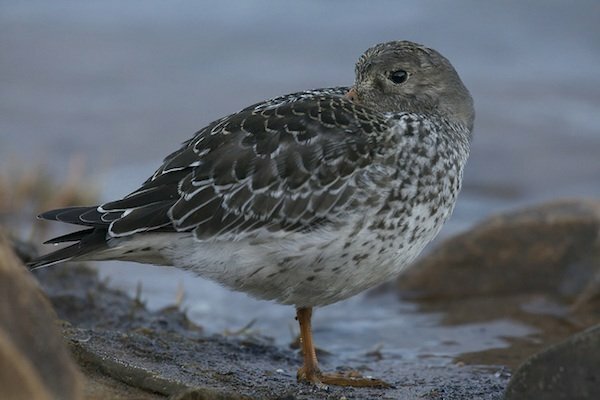 I hold out hope that a Purple Sandpiper will linger on its way out. But I suspect that this fine, accommodating bird that let me approach closer than my camera would focus is already well beyond the reaches of winter. 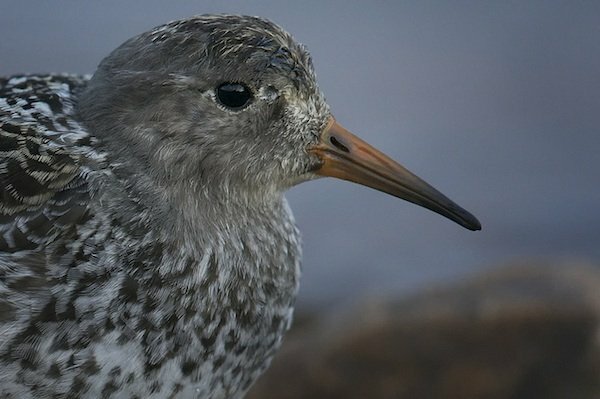 A relaxed Purple Sandpiper, who is probably long gone from my neighbourhood. No small passerines remain, our Snow Buntings have almost all departed. They’ve left early as usually they hang on until the bitter end. Until the snow piling up tells them they’re better off in the stubble fields of the prairies and the mid-west. There is one hardier small bird, I lied when I said they’ve all gone. The stout hearted Hoary Redpolls will stay all winter, gleaning seeds from hills swept clean by wind. An impossibly tiny bird to hold out through the cold and the dark season. Once our Sun sets in five or so short weeks they’ll be hard to find until the February’s return of the Sun. 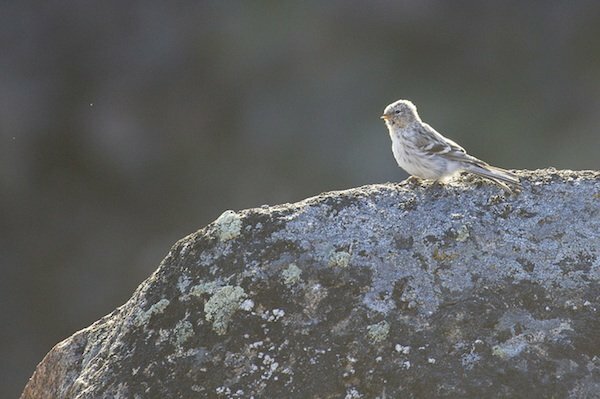 This young Hoary Redpoll will spend its first winter where others fear to tread. 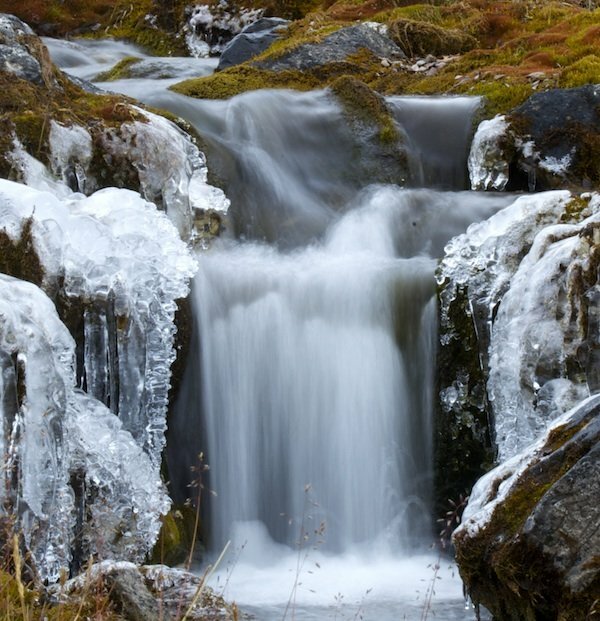 The tundra back home, the air thick with song a short time ago, is mostly silent now. Although it never is devoid of birds. 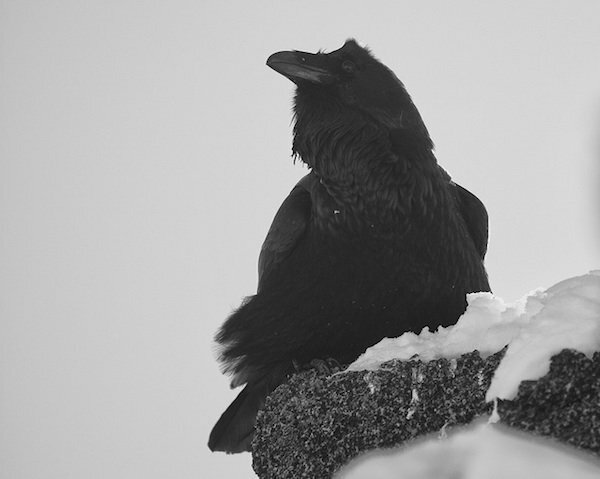 Ravens remain to delight my senses. They remain my companions when most birds have left. I delight in their songs, and the sound their wings make slicing the cold air. Ravens play. They play on wind dancing on currents invisible to us. They play on snow, sliding down banks on their black backs. They play and dance in front of tethered dogs, all the while going about the serious business of stealing those same dog’s food. There is much to love about their company. Much joy to find in their fellowship. I’ve neglected their company too long, but they always let me know that the winter isn’t so bad, not when you can spend it with great birds like them. I dream of seeing where you live, it must be wonderfully fascinating. Beautifully written, Clare. The content and imagery were wonderful and refreshing. A link to this page will be placed on my nature website with the appropriate attribution. Thanks for a delightful breath of fresh air. 10000 birds always has great writers. I am always so moved by what you see and how you write about it. Your world is so far away from mine, and I am grateful every time you give us a glimpse of it. It is a magical place Mia. Thank you Rich. 10,000 Birds does have amazing writers. I’m in awe to be included amongst them and worry about the day they discover me. Thank you Robin. I’m grateful that you’ve continued to read about my world after all these years. Its good to have faithful friends. What a beautiful post! The photos and your sensitivity to the birds and seasons is lovely.